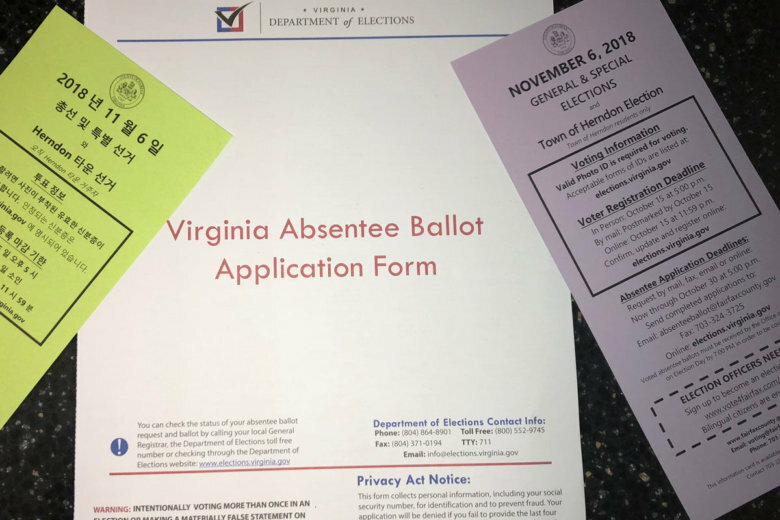 A Fairfax County focus group this summer found many college students who have gotten an absentee ballot simply fail to send it back because a U.S. Postal Service stamp seems to be a foreign concept to them. FAIRFAX, Va. — “Vote or die.” Unless, it’s too hard to find a stamp. “One thing that came up, which I had heard from my own kids but I thought they were just nerdy, was that the students will go through the process of applying for a mail-in absentee ballot, they will fill out the ballot, and then, they don’t know where to get stamps,” Lisa Connors with the Fairfax County Office of Public Affairs said. The focus group included college interns from across numerous county departments. “They all agreed that they knew lots of people who did not send in their ballots because it was too much of a hassle or they didn’t know where to get a stamp,” Connors said. To take on the apparent challenge, the county hopes many students will vote in-person absentee while visiting home during fall breaks. In-person absentee voting begins Friday. “We’re really working on information to get the college students to be able to actually vote where they’re registered and vote absentee because it’s very confusing and it has a lot of pieces that can sort of go wrong in the middle of it,” said Kate Hanley, Fairfax County Electoral Board secretary. Students could have changed their voter registration location if they got a new driver’s license or filled out a new voter registration application on campus. Fairfax County General Registrar Gary Scott also wants to ensure students fill out absentee ballot request forms correctly, listing their home address where they are registered to vote in the area labeled “residence address” and the address where they want the ballot delivered in the separate area that is more clearly marked. Mixing up the two makes the form invalid. An absentee ballot also can be requested online.